During a special event held recently in downtown Louisville, KY, pod architecture + design (pod a+d) of Carrboro, NC, and Luckett & Farley architects and engineers of Louisville, presented a surprising concept for a modern, environmentally sustainable, mid-sized distillery to an assemblage of investors. Designed for the event’s host, J.W. 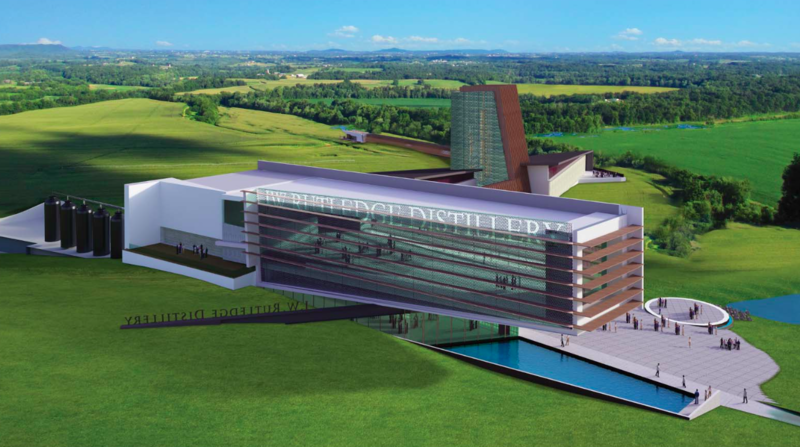 Rutledge Distillery of Middletown, KY, the 69,000-square-foot facility is intended for 140 picturesque acres of gently rolling grassland just outside Louisville. The architectural concept suggests an elegant, two-building composition linked by physical representations of various elements of the distilling process. In form and footprint, the concept engages the landscape and gently steps downward toward Floyd’s Fork, allowing the process of bourbon-making to flow naturally via gravity, from grain delivery all the way to barreling. 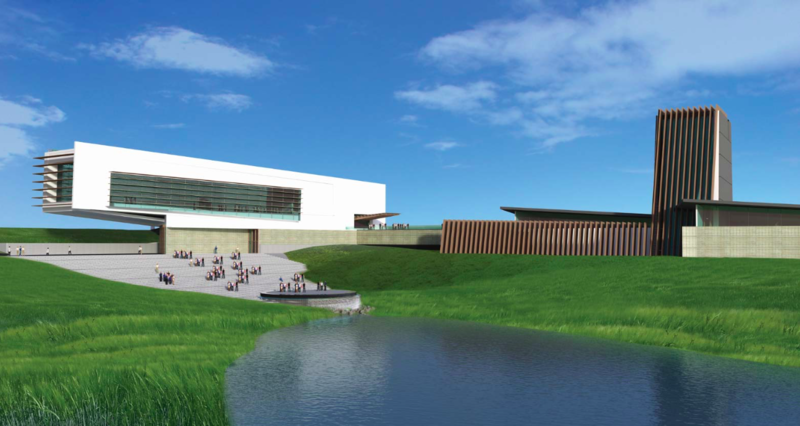 The distillery would also be oriented to convert the naturally occurring stillage (the byproduct of bourbon making) into energy via a biomass digester and to capture heating and cooling through a geothermal pond loop. This innovative solution was designed by Douglas Pierson, AIA, and Youn Choi, pod a+d’s co-founders and Luckett & Farley’s President/CEO Aric Andrew and Vice President/Distilling Marketer Kyle Beasley. pod a+d and Luckett & Farley also worked together recently as architect and engineers, respectively, on the award-winning Rabbit Hole Distillery in downtown Louisville. “This one of a kind campus will engage a breathtaking site in a manner that honors an old-fashioned tradition done well while looking toward the future to thrive,” Pierson added. The Investor Tasting Event took place in the Mint on Mellwood, a renovated industrial building in downtown Louisville. Investors enjoyed specialty bourbon and light refreshments while they discussed the proposed distillery with the J.W. Rutledge executive management team. For more information on Luckett & Farley: www.luckett-farley.com. For more information on J.W. Rutledge Distillery: www.jwrutledgedistilleryllc.com.